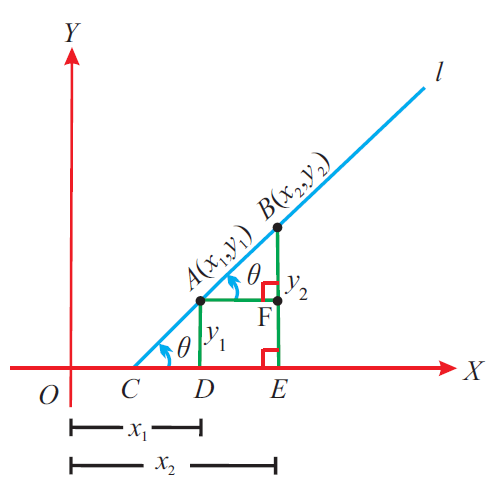 About "Slope of the line"
It is the change in y for a unit change in x along the line and usually denoted by the letter "m"
Slope is sometimes referred to as "Rise over run"
Because the fraction consists of the "rise" (the change in y, going up or down) divided by the "run" (the change in x, going from left to the right). The figure given below illustrates this. 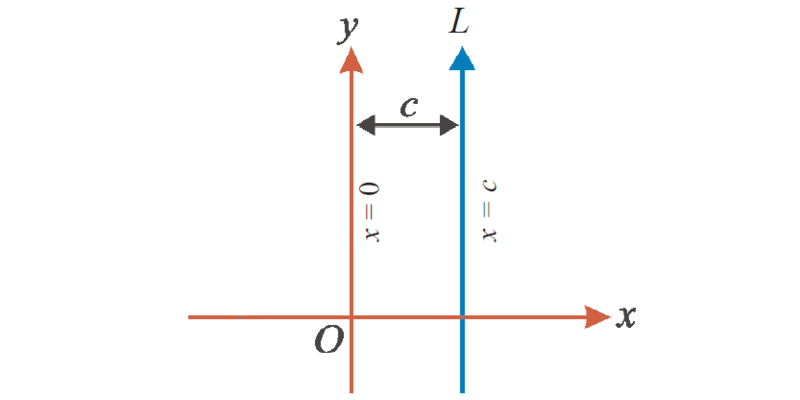 Let θ be the angle between the straight line "l" and the positive side of x - axis. (i) if "x" term is missing, then the line will be parallel to x - axis and its slope will be zero. 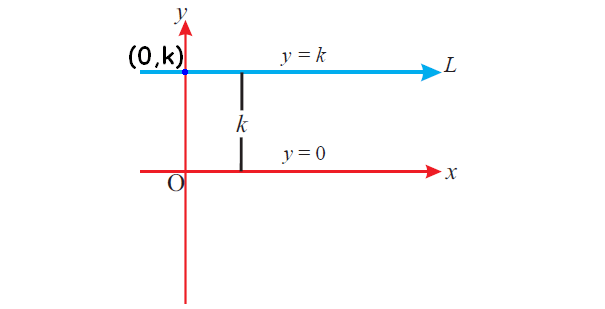 In the above figure, the value of "y" is fixed and that is "k"
(i) if "y" term is missing, then the line will be parallel to y - axis and its slope will be undefined. In the above figure, the value of "x" is fixed and that is "c"
Slope of the coordinate axes "x" and "y". (i) Slope of "x" axis zero. (ii) Slope of "y" axis undefined. When we look at a straight line visually, we can come to know its slope easily. To know the sign of slope of a straight line, always we have to look at the straight line from left to right. The figures given below illustrate this. Let θ be the angle of inclination of the line. Find the slope of the straight line passing through the points (3, -2) and (-1, 4). Also, B is the common point. Find the slope of the straight line 3x - 2y + 7 = 0. Hence, slope of the given line is 3/2. If the straight line 5x + ky - 1 = 0 has the slope 5, find the value of "k"
Hence, the value of "k" is -1. After having gone through the stuff given above, we hope that the students would have understood "Slope of a line". Apart from the stuff, "Slope of a line", if you need any other stuff in math, please use our google custom search here.